I got to do a podcast over the weekend with the crew at Multiplaying! I hope it’s as fun to listen to as it was to do, I had a ton of fun chatting with Steve, Jason, and John. Click on the graphic to go check it out (the badge will make sense after you hear the intro) and be sure to leave a comment on their post if you want me back on. Want to listen to me ramble instead of just read it? Well you’re in luck, Chris and Bill had me on Episode 12 as a guest host. We cover the usual of what we’re playing and the current news, and then we get into a good discussion of episodic content of the STO-kind. Hey guess what! 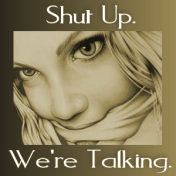 I’m back on the Shut Up We’re Talking podcast again on Episode 65. I had a great time again talking with Darren and Karen, and enjoyed meeting Jeremy for the first time. 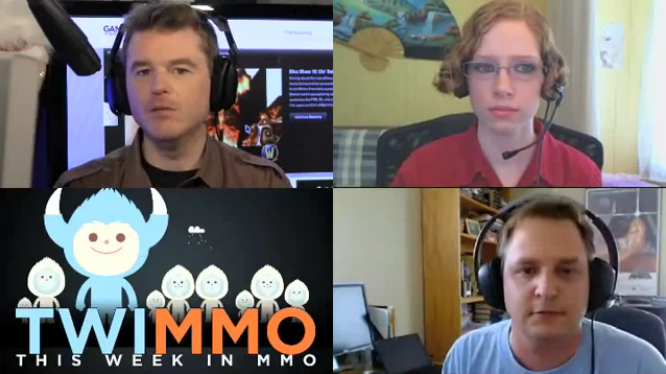 Besides the usual listener mail and what we’re playing, we talk about the MMO news (and lack there of) from E3 and try to answer Justin’s Daily Grind questions regarding Ignorance is Bliss. Go give it a listen, and be sure to check out the Blogs of the Week: MMO Gamer Chick (my favorite), Tradeskill Perspectives, My Gaming Life, and CuppyTalk. A little side note, Darren’s BotW section has always been a great feature, and that’s where I first found several blogs that I really enjoy, like Anjin’s Bullet Points blog. So Darren, from Common Sense Gamer, displayed as surprising lack of common sense and allowed me to be on Shut Up We’re Talking episode 58. Seriously, I’ve been excited about this for weeks now. I sent Darren an email after episode 56.5 where he asked for people who wanted to be a guest on the show. Of course, I didn’t think he’d actually reply back. I had a great time doing the show. Huge thanks to Darren, Karen, and John for letting me talk their ears off, both on and off the air. Usually, I’m talking to myself in the car when I listen to them, so at least this time people in traffic weren’t staring at me. If you’re a Champions Online player and looking for a good podcast that covers the game from both a beginner and advanced point of view, go check out Podcast of Champions. It is hosted by brothers-in-law Todd and Matt, or John Franks@photontorpedo and Cicerone@cicerone. The guys have a lot of good information on the game and fun back-and-forth banter, so even though the shows all run past two hours, you won’t realize it. I’ve been listening to all the back episodes (I’m up to episode 12) and the production quality has been very consistent. They’re on episode 14 now, go on over and check them out. Special thanks to Blamefulgecko on Twitter who pointed me to the podcast.